After being told at 19 that I had a million to one chance being able to get pregnant I went on to have 4 kids. I was that woman other people teased..we would talk about having another baby and I would find out I was pregnant. I was also that happy pregnant woman. I got as big as a house but I loved it! Incompetent cervix: a term I heard and knew the meaning of, but never imagined that these two words would change my life forever. I had given birth to a full-term healthy baby in 2004; there was no reason to think this pregnancy would have any different outcome. 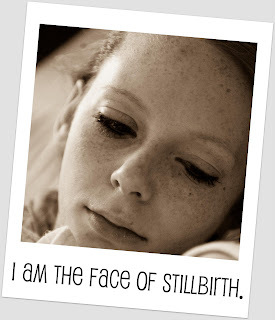 There was especially no reason to think that my cervix would inexplicably open at 19.4 weeks into my pregnancy. Luke Jackson, our second son, was born and died on October 16, 2011 due to cervical incompetence. This is Luke’s story. I had a perfect pregnancy, never had any blood pressure problems or any problems really. I was due on February 1, 2011. My name is Kassidy Lynn Whitaker and I am 25 year old. My husband’s name is Kevin Michael Whitaker and he is 26 years old. We began dating as seniors in high school and have been together ever since. I guess you could say we are high school sweethearts. We were married on June 24, 2006. I am a teacher in a local school system and Kevin works for a missile defense contractor on Redstone Arsenal. Kevin and I were blessed with our first baby boy, Russ, in December 2007. We knew we wanted more children, but because of complications during my first pregnancy we decided to wait a few years. In November 2009 we decided Russ was getting to an age where he needed a sibling to play with. In March 2010, we found out we were expecting another baby. We were all so excited! We took Russ with us to our first appointment and all shared in the excitement of seeing our new baby on the ultrasound. Russ quickly decided we should name the baby “Lucy Dinosaur”. We were not sure where this name came from, but Russ insisted this was the baby’s name. Russ went to most of the appointments with me and he loved hearing the baby’s heartbeat. Everyone was positive I was having a girl this time, but I kept telling them it was another boy. My name is Denise. 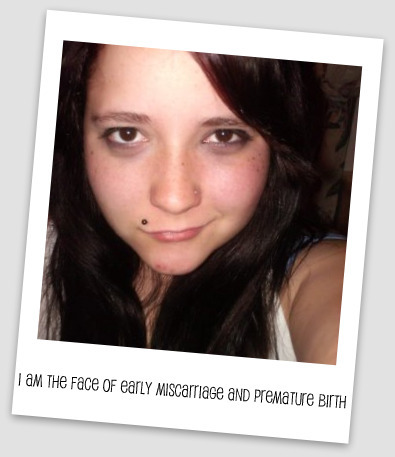 I am the face of a stillbirth. I am the mother of an angel named Addison Marie. 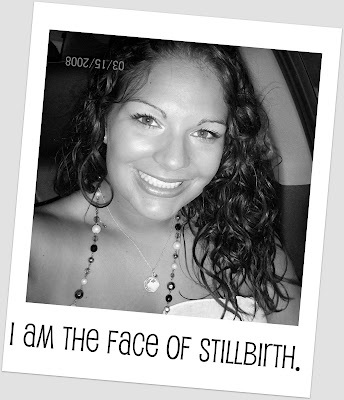 Addison was born “still” on March 20, 2008 due to a umbilical cord accident in my 9th month of pregnancy. You are loved and missed everyday. After five years of trying to conceive, 3 years of fertility treatments, including 3 failed IUI’s, we found out on our fifth wedding anniversary that we were pregnant- on our own! In the beginning, my levels (hcg, etc.) never doubled or did what they were supposed to. My doctor was expecting me to miscarry, but I didn’t. At nearly 8 weeks, my baby had a strong heartbeat. After that, my pregnancy was very normal. 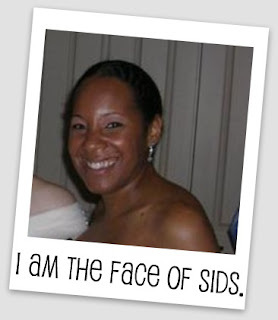 I was given a due date of January 1, 2010, and I was ecstatic. My miracle baby, the baby we were not supposed to conceive, would be a Christmas gift for all of us. In order to understand the outcome, I think it is important to tell what happened in my pregnancy first. Sorry this is so long, but I need to tell all. 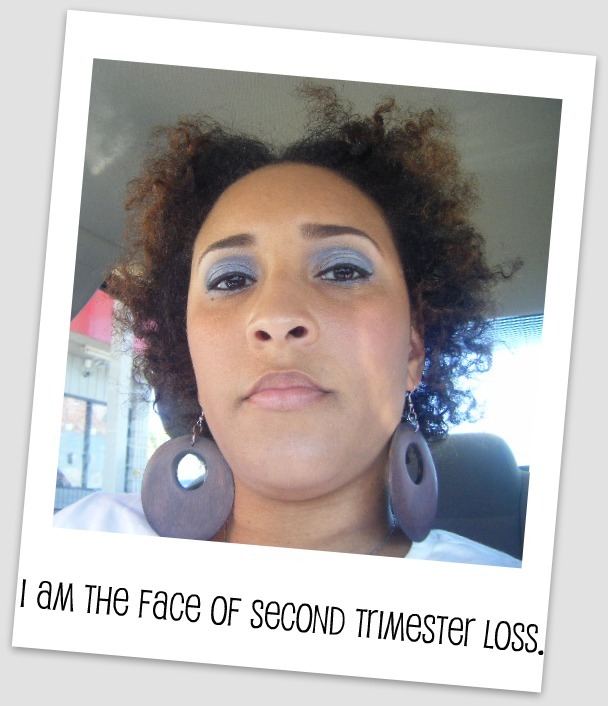 In the first 3 months of my pregnancy, I lost 20 pounds due to the pregnancy and illness. I just couldn’t eat meat, or much of anything without getting sick! I loved fruit, and ate mostly strawberries, pineapple, apples, etc. When our daughter was about 18 months old, my husband and I decided we were ready for another baby. A couple of months later, I got a positive pregnancy test…we were so excited! Morning sickness kicked in immediately and just wouldn’t let up. 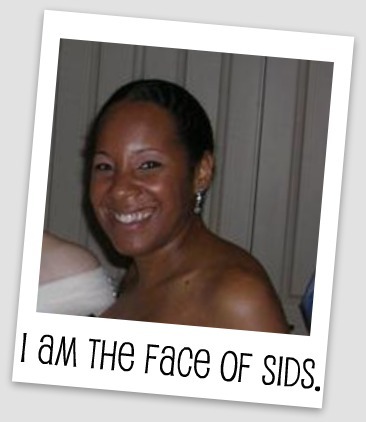 In fact I ended up with a PICC line during my pregnancy so I could receive IV fluids and anti-nausea medicine at home. I was also plagued with a constant nagging feeling that something was wrong with my baby. I had an overwhelming feeling of dread that I was going to lose him. I was so ready for Gage to be born so I could make sure he was alright. I remember hearing his first cry when he was born. I also remember the doctor saying he was “perfectly healthy.” And even though he looked healthy and everything was going well, I still knew deep down that something was wrong. It wasn’t very long after he got home that we noticed that his abdomen was getting bigger but the rest of him wasn’t. He wasn’t developing muscle tone and he wasn’t as pink as I thought he should be. When he was about 5 weeks old he started projectile vomiting every ounce of milk we gave him. His abdomen was so big it was taking over his whole body. And then the diarrhea started. After being ignored at our pediatrician’s office, we headed to the emergency room. We were there for hours doing test after test that revealed nothing. They admitted us to the PICU for the night. We ended up being there for a week, running more tests. They put him on a special formula that he could tolerate, but there was still something very wrong with him. Finally, we were transferred to Vanderbilt Children’s Hospital in Nashville, TN. The day he was transferred, I took my mother-in-law aside and told her that I was terrified that Gage was going to die. My husband and I waited a little over five years after getting married to start our little family. We wanted to make sure that we were in a good place – financially, professionally, etc – before we brought a precious life into the world. In July 09, we decided to start trying, and were excited and terrified when 2 months later we received a positive pregnancy test. We told immediate family almost immediately, but waited until that 12 week mark to tell friends. 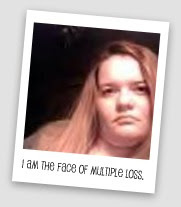 On the night of Saturday, April 3, 2010, I began to have lower abdominal pain. Now I must inform you that this was my first pregnancy, so I had no idea of what to expect, or what to count as a red flag. The pain was more annoying I thought than major enough for it to be a red flag. The next day was Easter Sunday, and like most, I went to church service, and throughout service the pain was bearable, but strange. The whole day, I kept wondering if this was normal. I made it through Sunday. Monday morning came and the pain had worsened so I called my OB/GYN. I asked if they could please squeeze me in due to the pain I was feeling. Thankfully they were able to see me. My doctor checked my cervix and informed me that it was still thick and there was no dilating, he told me not to worry. He said it was probably round ligament pain, and to take an ibuprofen for pain. I left my docs office, still in pain, but confident that my doctor’s words were true. July 2007, I had been on what I thought was my period for about 2 months. I didn’t think much of it because I have irregular periods. One day I started cramping really bad. Shane called the ambulance and I was taken to the ER. To make a long story short I was pregnant, and having a miscarriage. They did a DNC and cleaned me out. I was devastated. I had never thought about becoming a mother before, but this changed the whole game. I had been pregnant- and didn’t even get to have my baby! Life was NOT FAIR! Fast forward 3 years later, July 10th 2010. It had been a wonderful day, except my boyfriend, Shane, had to work which was nothing new. Six months pregnant, and loving every second of it. I spent most of the day talking to my baby, a girl named Serenity. She was my world and I loved ever second with her in it. I loved every move she made, and I was loving the fact she was a SHE. At some point during the day I made a picture for her using the “Paint” application on mine, and everyone else in the world’s computer to put as my desktop wallpaper. I was so excited about finally becoming a mother. I went on with the rest of my daily routine as normal. When Shane got home from work we made our trip to the REDBOX and I was noticing the whole way there Serenity was very active, kicking hard in the lower regions of my body (if you know what I mean). I didn’t think much of it except it was annoying and she was going to end up being a soccer player when she got older. We made it home with our movie, and Serenity finally started to calm down a bit. Sherlock Holmes starring Robert Downey Jr, Jude Law, and Rachael McAdams. We watched the movie, got finished with it about 9:00pm. Shane had to work the next day so after the movie he talked to Serenity, told her he loved her, gave her a kiss and kissed me, then rolled over to go to sleep. By that time I had started cramping, which I tried to pass of to be Braxton Hicks (and was complaining about them on twitter). I just could not for the life of me get comfortable. I kept tossing and turning in the bed, keeping Shane awake. He turned over to me and asked me if I was okay and if I needed him to take me to the hospital. I told him yeah I was okay, I was cramping but it was probably growing pains or Braxton Hicks (I figured it was probably about time for them to start at almost 26 weeks), and I was going to take some tylenol and soak in the tub to see if they would let up (I didn’t want to go to the hospital and them tell me I was dumb, it was just braxton hicks and send me home). He told me if I needed him to yell for him. My husband and I were 24 years old and had been married for a year and half when we decided to start our family (January 2009). At the end of March, a home pregnancy test confirmed that we were pregnant. 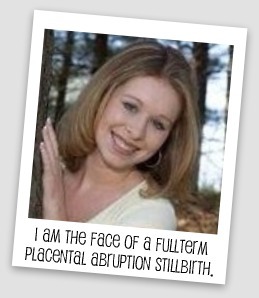 When I was 12 weeks pregnant, I had a Nuchal Translucency Screening done. This particular screening identified the baby’s risk of having a chromosomal disorder, the most common being Trisomy 21 or Down Syndrome. 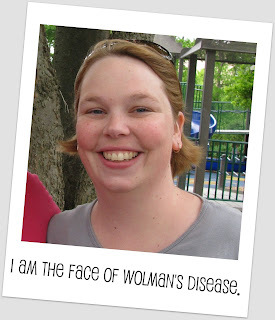 We were both young and healthy and had no family history of any diseases or disorders. Even though our pregnancy had no risk associated with it, I went ahead and had the screening done. The ultrasound suggested our baby might be at risk because she had more fluid than normal behind her head. However, the bloodwork came back normal, so we were told that our baby would be just fine. The rest of the pregnancy continued smoothly without complications. Everything looked good. We were so excited when we learned we were having a girl. We had several baby showers and decorated her room. We did everything we could to get ready for her much anticipated arrival. I felt confident that we would have a healthy baby especially because we ourselves were so young and healthy, but in the back of my mind was always the thought that there could be something wrong with Hailey. There were no complications other than my high blood pressure (which is normal for many pregnant women) the week before Hailey was born. On December 1, 2009, when I was 39 weeks and a 3 days along, my water broke after being induced for 2 days. Hailey arrived at 6:04pm. After I delivered Hailey I waited to hear what all parents want to hear, the beautiful sound of a crying baby – and I got it. However, I knew something was wrong when she wasn’t placed on my chest, and no one was telling me what was going on. Hailey was rushed off to the NICU before I even saw her. I can‘t believe that a year has come and gone so quickly. An entire year since I sat telling my best friend how I just had to have my strawberry cheesecake ice cream at that exact moment. An entire year since I thought I had lost my mind when I cried while watching the movie, “Knocked Up.” Most importantly, it has been an entire year since the day I found out that I was a going to be a mommy. I still remember the night like it was yesterday. After a lazy day of sitting around the house watching television and resting from a long night before, I finally decided to go over to my friend’s house and take a pregnancy test. When I got there, it took a few minutes for Brodie’s dad and my best friend to talk me into taking the tests. You know the feeling of wanting to know something, but you don’t want to know? Well, that was exactly how I felt, I was so anxious to find out, but then again I just didn’t want to know yet. I absolutely couldn’t believe it when both tests came back positive. So many emotions filled my mind at the exact moment. Excitement, nervousness, fear, and shock. What was I going to tell my parents? What would I do about school? How would I afford everything? Although I was worried about what would happen, I have to say I was so excited and happy from the start. I just knew everything would work out and in nine months I would be the proud mommy to a sweet little baby. After everything was out in the open, my parents and family were absolutely furious. I had just graduated high school in May as valedictorian and had a full- paid college scholarship. They asked how I was going to do this, and I simply told them the best way I knew how. I would continue with my classes throughout the fall, and then take online classes during the spring because I would be nearing my due date. It took a few weeks for them to come around, but it happened, and they supported me. At my first doctor’s appointment they confirmed my pregnancy, and I was told that I was about five weeks along. I loved going to my doctor’s appointments, and they were always the highlight of my month. I wished I could go every single week, just to make sure that my little bundle of joy was doing okay. From the very beginning, I worried about every little thing. 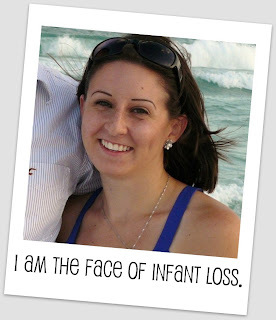 I was so scared that I would hurt the baby or have a miscarriage. From eating healthy to getting plenty of rest, I made sure everything I did was safe for the baby. Pain didn’t matter to me, and I even refused to take Tylenol, which my doctor told me over and over was a safe medication. The risk just seemed to be there, and I couldn’t live with myself if something happened. The days turned into weeks, the weeks into months, and the moment had arrived when we would find out if we were having a boy or girl. At my eighteen week ultrasound, it was confirmed that my miracle was a boy. For some reason, I always knew deep down that it was going to be a little boy. I could just see him growing up to be an Alabama quarterback and making his mommy proud. Of course I would be proud of him with whatever he chose to be, but that was just my imagination running wild. After a few weeks of countless name ideas, we finally came to the decision of Jacob Brodie Lankford. Jacob was after his daddy, and Brodie came from the star quarterback, Brodie Croyle, of the University of Alabama. I wanted to buy him every single little outfit and baby item I saw, they were just all so cute. My perfect boy was going to be quite the little man with all of his Polo outfits, and he even had a pair of red and black Nike Shox! Everything seemed to be going perfect with my pregnancy, except for those pesky bladder infections I seemed to keep the entire time. I don’t think I ever complained about them though because I just knew it would all be more than worth it. My sugar test came back normal at my twenty-eight week visit, and my boy’s growth was right on track. For several months, I had put a little money aside so that I could do a 4-D ultrasound at my thirty week mark. I was so excited to see all of his features and could hardly wait. When the day finally came, the ultrasound tech kept telling us what a beautiful profile he had, and that he was going to be a big boy. Of course, that was a huge relief to me, supposedly meaning that everything was okay. After worrying my entire pregnancy so far, I finally decided that I would try to stop stressing myself out so much. I figured that since I was over thirty weeks that even if I went into labor early, he would still be okay if something like that happened. How naïve could I have been? 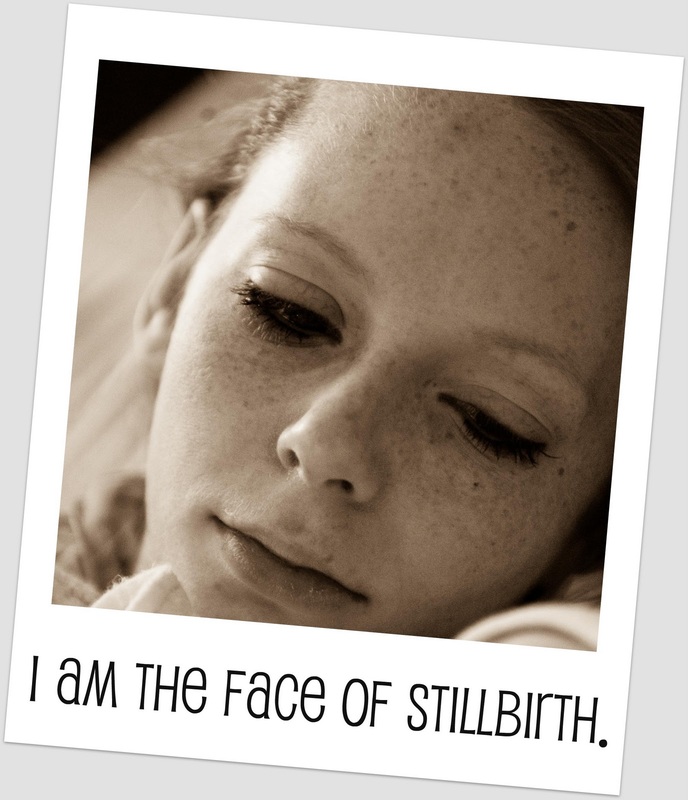 The thought of stillbirth had crossed my mind, and I had read about it online and in books, but it only happened in one percent of pregnancies. So, I was safe, right? As soon as I started to enjoy being pregnant instead of worrying about every little thing, the unthinkable happened. In week thirty-four of my pregnancy, I woke up on a Wednesday morning and noticed a slight decrease in movement. I tried drinking some orange juice, and that got him moving around a little, but I was still concerned. I called my doctor’s office and was told to come in for a non-stress test that afternoon. During the test, Brodie was moving, but still not very much. After an hour on the machine, I was sent to labor and delivery for some fluids and to be monitored for a while longer. They told me that dehydration could be playing a factor, so I was given an IV. After drinking countless bottles of water and juice, I figured there was no way I could be dehydrated, but I listened to the doctors. They are supposed to know what they are talking about you know. After a few hours of rest and fluids, Brodie’s movement picked up and his heart rate was normal, or so I was told. I was sent home and scheduled for a check-up the following Monday. If only I had known that would be too late. On Thursday, Brodie was being very active, but then on Friday his movements decreased again. I woke up and laid in the bed for a little while waiting on his movements to pick up, but I had to get ready to go meet some friends for lunch. Sometimes he would be lazy in the mornings so I decided that everything was fine and not to worry yet. While driving to lunch, I felt him move a few times, and then during lunch also. That would be the last few times that I was sure I felt his little kicks and punches. The entire afternoon I started to worry about him, but once again I made an excuse up and blamed it on my moving around all day and just not noticing it. After laying down from an exhausting day, I decided to drink something sweet and do my daily kick counts. I thought I felt him moving, but now looking back, something was different. He also had hiccups, so that could have been a sign that he was in danger. Why didn’t I know that, or why doesn’t anyone ever tell you that hiccups are a bad sign? The next morning was my very first shower, and everyone was so excited. I could tell that I was feeling “strange,” but then again you aren’t exactly supposed to feel normal when you are thirty five weeks pregnant. Of course, I thought everything was just normal pregnancy aches and pains. The day went by, and I still didn’t want to bring myself to believe that something was wrong. I think I knew it all along, but I was scared to death to have it confirmed. On Sunday morning, I woke up crying. I couldn’t get him to move or hiccup or anything. I told my mother that we had to get to the hospital as soon as possible. I was supposed to have another shower that afternoon, but everyone was just going to have to wait. Brodie’s health was more important than a shower. When we arrived at the hospital, we signed in at the emergency room and were sent for a non-stress test once again. The nurses searched for his little heartbeat, but it was no where to be found. My poor baby boy was gone, and it was all my fault. The ultrasound technician came into the room to confirm the outcome, and it was true, there was no heartbeat. What was I supposed to do now? I couldn’t bear the thought of being in labor for hours and hours and not even getting to hear his first cry. My doctor gave me the choices of being induced, waiting on natural labor to occur, or his least favorite possibility, a c-section. Everyone tried to talk me out of it because it was major surgery, but it was my decision. I was an emotional wreck. No one could calm me down or stop me from crying, and the only words I could say were, “I’m sorry.” All I had to do was get my son here, and once again I failed. I seriously shook the entire time, and the epidural only made it worse. After hours of waiting because I had eaten breakfast that morning, it was finally time for the operation. At 6:08 P.M., Jacob Brodie Lankford was born into heaven. He weighed eight pounds, two ounces, and he was eighteen inches long. Just like everyone said, he was a big boy. He was perfect in every single way except for his umbilical cord. About an inch from his belly button, his blood flow and oxygen was just completely cut off. No knot, no kink, just cut off. I chose not to have an autopsy because I couldn’t stand the thought of him being hurt, so I guess we will never know the exact reason. Over the next few days, I spent as much time with him as possible. On the day I was due to be dismissed, I begged the staff not to send me home. I felt like I was leaving my little boy, and that absolutely killed me. A few days later, Brodie was buried right beside my great-grandparents. That week will forever be the worst week of my life. No parent should have to bury their own child, especially not an innocent baby! Losing Brodie has changed my life. He was my little miracle. He was one of the few things I have ever done right in my life. 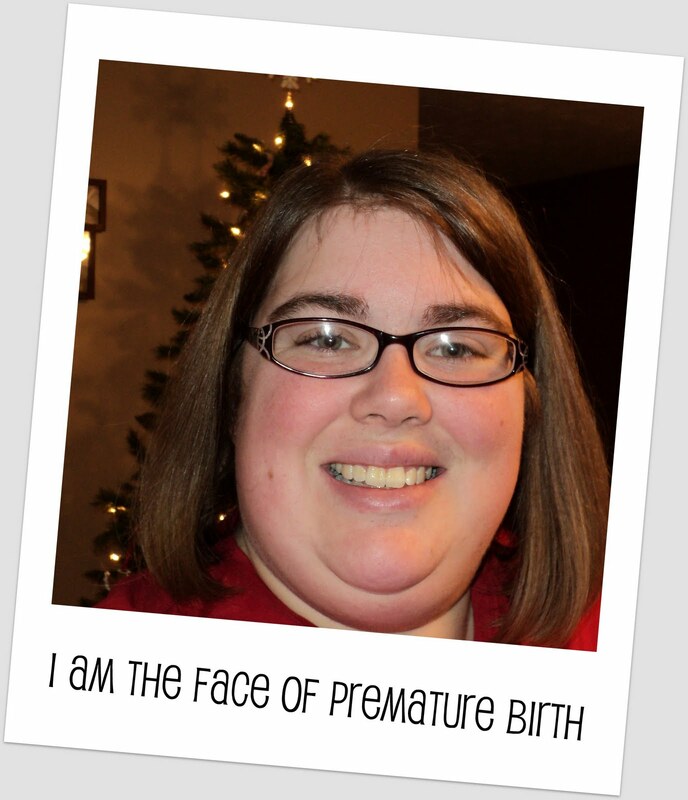 Now, after nine months of a perfect pregnancy, here I am. Empty arms and a broken heart. 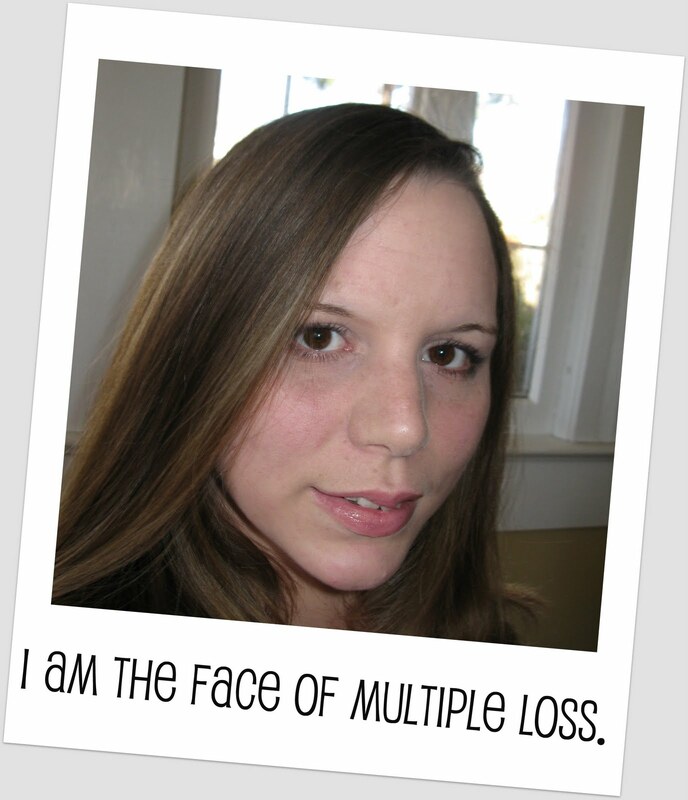 My first miscarriage was in Dec. 2007, only seven months after my first son, Jackson, was born. I went in for my first ultrasound the day after Christmas. My husband and I were very excited. The tech started the ultrasound and as soon as the baby came on the screen I knew something was not right. The tech kept asking me to hold my breath so she could see if the baby would move. After doing that over and over she sent us back into the waiting room. I looked at Andy and I knew he already knew it was going to be bad news. We then got called back into my doctor’s office were he told us that the baby had not developed and there was no heartbeat. And that it may have even been a molar pregnancy. He gave me two choices: a) we could do a D&C right away or b) let it happen on its own. Well, I was still breastfeeding my 7 month old son, so I decided to go home and let my body do everything on its own. A week went by, a week of hell! Every time I would go to the bathroom I would hold my breath, I was so scared to see the baby come out. But nothing happened, not even a drop of blood. So we went back to the Dr. that next week. He did another u/s and it showed that my body was still growing the sac but no baby. So at that point I wanted it over and set up a D&C. On Jan 4th I had the surgery. That next May I found out I was pregnant again. And on Jan. 9, 2009 I had another beautiful baby boy, Nicholas! Almost a year to the day of having my D&C. We were over the moon! We had always planned on having three children and I wanted them two years apart. So the beginning of this year I started hinting around to my husband that it was about time we start trying. Well that never really went anywhere and we both knew that I really never needed to “try” it always just happened for us. So on April 1st I decided I was going to play a joke on a few people for fun. I took a pic of one of my old positive pregnancy tests and sent it to my husband, best friend, and my sister. I first got a text from my sister that said, “haha April Fools.” Then my best friend sent me a text that said, “Really!”. And Andy sent me a text that said, “Again!”. I got a good laugh out of it all and sent them all a Happy April Fools text. Well the next day I was sitting at my computer thinking I should be coming up on my next period like yesterday. So really out of boredom I took a pregnancy test (yes I keep them on hand..lol). Well before I got my pants up there were 2 pink lines. I was like you have got to me kidding me! I call Andy into the bathroom and handing him the stick said, “HAHA the joke is on me!” He busted out laughing! He then said that if this baby is a girl her name will be April. This was going to make for a great story to tell this baby someday. My pregnancy was going well. I was a bit sicker this go around. I was just hoping that it was a sign of a girl. If this was going to be my last pregnancy, I wanted to make the most of it! I had my 8 week ultrasound on April 30th and there it was, the most prefect little blob with a fast little heartbeat. Everything looked great! My Dr. kept my due date at Dec. 7th and I couldn’t’t wait! I had my 12 week appt. and we heard yet again a strong heartbeat (160 bpm). 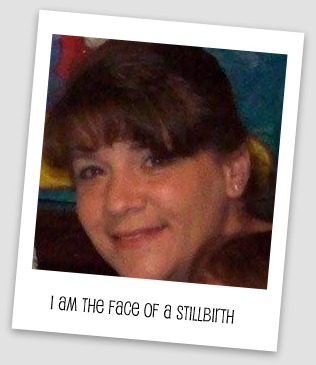 I entered my 2nd trimester, “the safe zone,” and couldn’t be happier. I was sure we would be having a baby in December.